As Apple is unlikely to share official iPhone XS and XS Max sales numbers anytime soon... or ever, our best chance of objectively evaluating the commercial success of the two well-reviewed but exorbitantly priced handsets is to rely on third-party research. 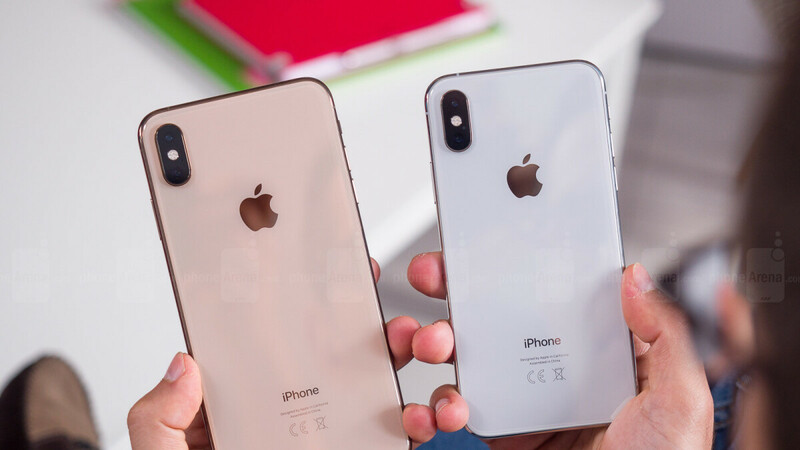 The newest estimations come from Flurry Analytics, a company with claimed “insight into 2.5 billion devices worldwide.” The analytics firm is done crunching the numbers for the first week of iPhone XS and XS Max sales (September 21 - 27), finding the two already accounting for a combined US market share of 1.1 percent. That basically means one in 99 iPhones in circulation stateside was either a XS or XS Max by September 27, trumping the current market penetration of the ancient 4S and 4. That may not sound very impressive, as the iPhone 5 and 5C remain more widely used than their most modern upgrades, but these are significantly higher numbers than those posted by the 8 and 8 Plus last year. One week in, the two LCD screen-sporting devices had barely reached 0.76 percent share, although obviously, it’s not entirely fair to compare the iPhone XS and iPhone 8 duos. Rest assured, as Flurry found a way to make the comparison right, nonetheless concluding the iPhone XS and XS Max are hits. The two, along with the discounted iPhone X, apparently generated 7 percent more revenue in total between September 21 and 27 of this year than the iPhone 8, 8 Plus, and X during their first week on the market. We’re talking iPhone 8 and 8 Plus revenue achieved between September 22 and 28, 2017, combined with iPhone X results estimated for the November 3 - 9 period of last year. Flurry Analytics expects this “trend” to “continue over the holidays”, naturally “supported by the release of the XR”, which many experts reckon will be the true blockbuster of the series, albeit with thinner profit margins and smaller gains per unit. In case you’re wondering, the iPhone XS Max is still substantially more popular than its little brother, while the iPhone 7 reigns supreme when it comes to US market penetration, followed by the 7 Plus, 6S and, perhaps surprisingly for some, the iPhone 8 Plus rather than the iPhone X.
Loving my Xs Max. No matter how android haters gonna say, this is the best iphone ever. You said it, it is the best iPhone ever. But definitely not the best smartphone ever. It has a fast A12 SoC, yet it still cannot do real multitasking or split screen multitasking. But I guess Apple has to artificiality separate iPhones and their iPads. Otherwise it would cannibalize Apples iPad sales. Nothing like a controlled environment, right MarvzlsFallen? He know and already admit that. "Otherwise it would cannibalize Apples iPad sales. " Why? You think people would give up 3-4 times bigger screen if they have split screen multitasking with phone? That makes zero sense. People buy iPad because of the screen size. That's like saying people would watch 40" tv over 65" if the 40" tv have some more features. I just left my 60" tv behind with 3D and bought 75", bigger screen wins hands down. I know thinking for you is really hard midan. But if iPhone users had the ability to do split screen multitasking, then it certainly would cannibalize Apples iPad sales, period. I would bet money on it. You would lose your money, why you think something like that would happen? It doesn't make any sense. I don't think most people even use split screen multitasking with iPad. You think people use iPad because it has split screen? You are so lost. People use iPad because it has lot bigger screen, having split screen with iPhone wouldn't change that, end of story. Just like iFans were saying bigger phones were useless, wireless charging, ingress protection, fast charging, OLED screens and more were all useless gimmicks they would not use, yet now are raving about these "wonderful", "amazing" features that Apple copied from Android phones. iFans have zero credibility when it commenting on features iPhones do not have and Android phones do. owned X almost year now and won't spend money for wireless charging, neither for fast charging, bigger phones got smaller over the years, still wouldn't buy XS Max size phone. X in other hand is good compromise. OLED screens were very bad and oversatured unnatural candy colour screens. Nowdays those are improved a lot just like every tech usually does. 10s of millions have bought, use and praise these features, just because you claim not to (which I doubt very much), does not change what has happened. The plus-sized iPhones up to the 8 where all huge and heavy yet the same people who mocked much smaller and lighter phones bought them in their droves. The Max is one of the biggest and heaviest phones ever made yet is outselling the smaller XS. Apple introduced all these features and dropped small phones so are you still saying there is no hypocrisy here? If you are you are deluded in the extreme. Your OLED comment is so weak, these screens, well before Apple jumped on the bandwagon late, were class leaders without the downsides you mention. On Android OLEDS you can adjust the colour to suit your taste, unlike on iPhones and to achieve good colour accuracy on the iPhones you have to turn off features and not look from an angle due to Apple's poor implementation. "Apple introduced all these features and dropped small phones so are you still saying there is no hypocrisy here?" No there isn't world changes and habits. People are willing to risk great one hand usability to gain bigger screen. Just like people left physical buttons to have bigger touchscreen. "Your OLED comment is so weak, these screens, well before Apple jumped on the bandwagon late, were class leaders without the downsides you mention. " No they weren't, "On Android OLEDS you can adjust the colour to suit your taste" Not really, you can turn your screen oversatured or undersaturated dull screen. I'm talking about here true natural colours, Apple screen always been known for that (that's why graphics designer choose Apple screens over android), their color accuracy been lot bettter than android OLED screens, and it's a fact. This propably have lot to do with android bad screen calibration too that usually android screen just aren't that good Samsung screens are, but again like i said they didn't used to be. "10s of millions have bought, use and praise these features" How you know that?https://www.phonearena.com/news/Which-charging-method-do-you-use-more-often-cable-or-wireless_id109537 Not even most android users use wireless charging. 70% of people here said they are using cable and we now talk about tech people. So no you are wrong, even after iPhone most people still use cable, not wireless charging. People just don't see reason to pay extra for that. Split screen is only a function based on how the app is written within iOS. Apple limits this ability within iOS for iPhone. The iPhone can hands down multitask. You can swipe left or right since iOS 11. No need to double tap or long press and open the app switcher. The app stays perfectly in tact as their no loss or refresh in memory management. This has nothing to do with cannibalizing sales for iPad. It has a form of multitasking. It's not full multitasking though. It also makes a difference. It's not about swapping between apps. iPhones automatically halt the task you left when you run another app. Not true on Android, Windows, Linux, OS/X or a number of other platforms. Sure the app stays in ram, but it is not running. For years it was always the iPhone screens are to small. Now there is no excuse what so ever. But all you have to say CreeDiddy is it has nothing to do with cannibalizing iPad sales. That's not a reason. So why does Apple allow iOS on iPads to have split screen multitasking, but on iPhones it does not? The iPhone XS Max has a 6.5 inch screen. The only reason to allow one and not the other is Apple wants people to buy iPads still. Because if the iPhone XS Max had split screen multitasking like it's iPad brothers, then fewer people would use their iPads, and some would even say why bother upgrading or purchasing a new iPad. Plus if Apple added stylus or pen support to the iPhones, then even more cannibalizing of iPads would occur. It makes total sense. Anyone with half a brain would agree that Apples only excuse nowadays is to artificiality separate iPads and iPhones. To keep tablet capabilities separate from Apples iPhones. For the same reason iPads don’t have 3D Touch. Apple wants you to buy both, to have both feature sets. Pretty much what you said. Bro the swipe feature is fast app switching, not multitasking. Multitasking on screen, is two apps simultaneously...iPhones don’t do that. Split screen is sorely needed on these huge screens. I love my Max, but it’s lacking bro. With 11 votes on my post. Many would tend to agree with me, and not you whatev. 11 people sounds about right who would stop buying an ipad if multitasking is given to iPhones. You didn't got those votes because of that. Even Android users know your comment about multitasking killing iPad sales is nonsense.